I spent my summers as a kid up in York Beach, Maine. These are some of the happiest memories I have in my life. One of my favorite memories was getting ice cream with my family at a place called Brown’s (it’s still there!) and then going down the hill to visit the lighthouse. 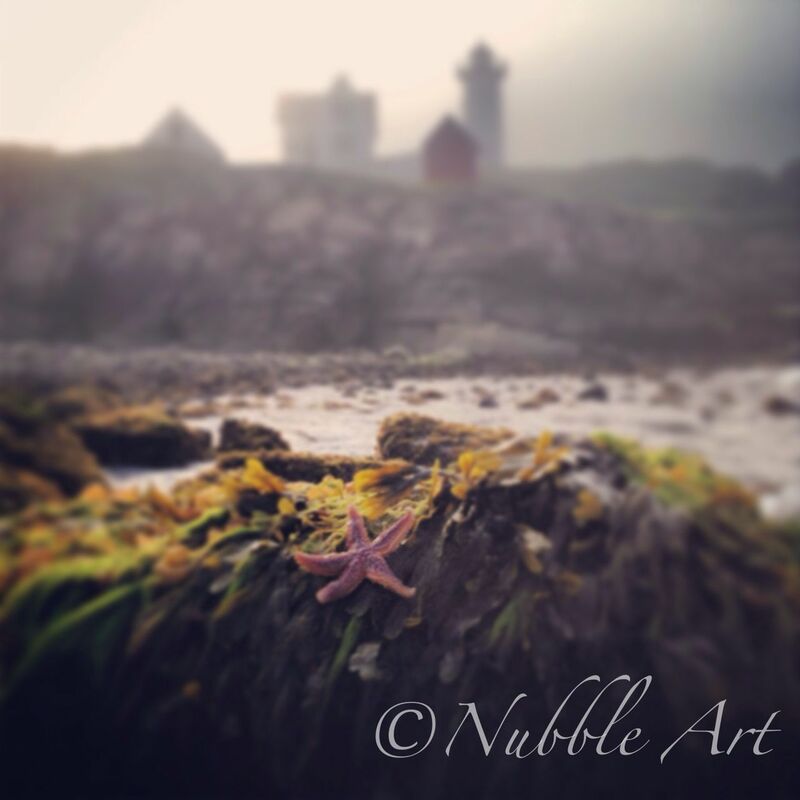 Its formal name is called Cape Neddick Lighthouse, but everyone calls it Nubble Light. This lighthouse played a big part in my childhood: it gave me a place to dream about, it was my first “business” when I was in high school (I painted Christmas ornaments with the lighthouse on it and sold them.) and it was my family’s play ground. We would get really excited when we saw the lighthouse keeper and his family on the island doing their thing. 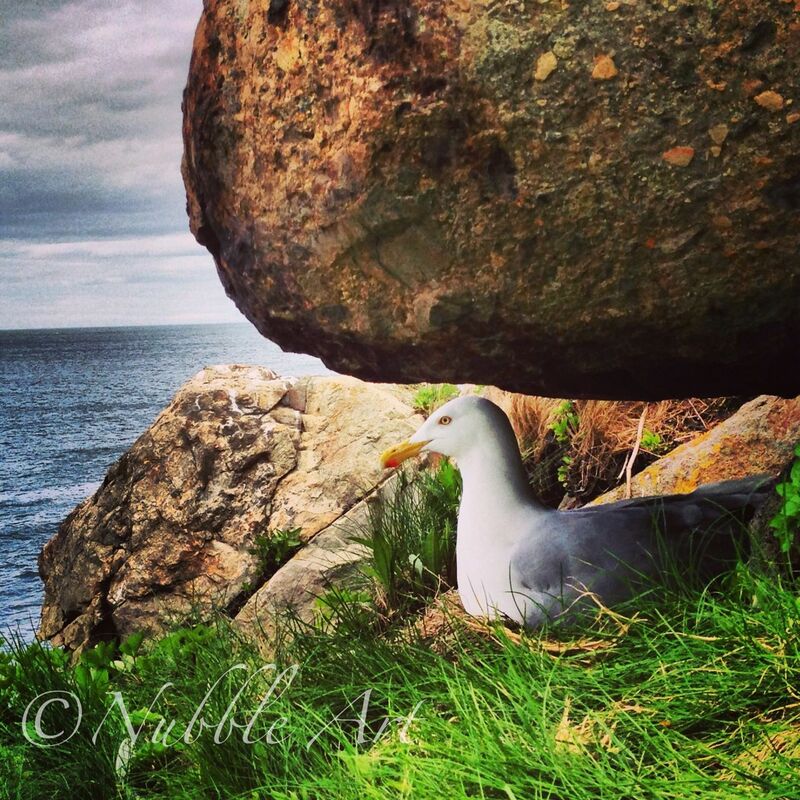 We would have family discussions around the campfire, talking about what life must be like at Nubble Light. To this day I still wonder what it is like on the island and how the keepers and their families lived the four seasons in southern Maine. 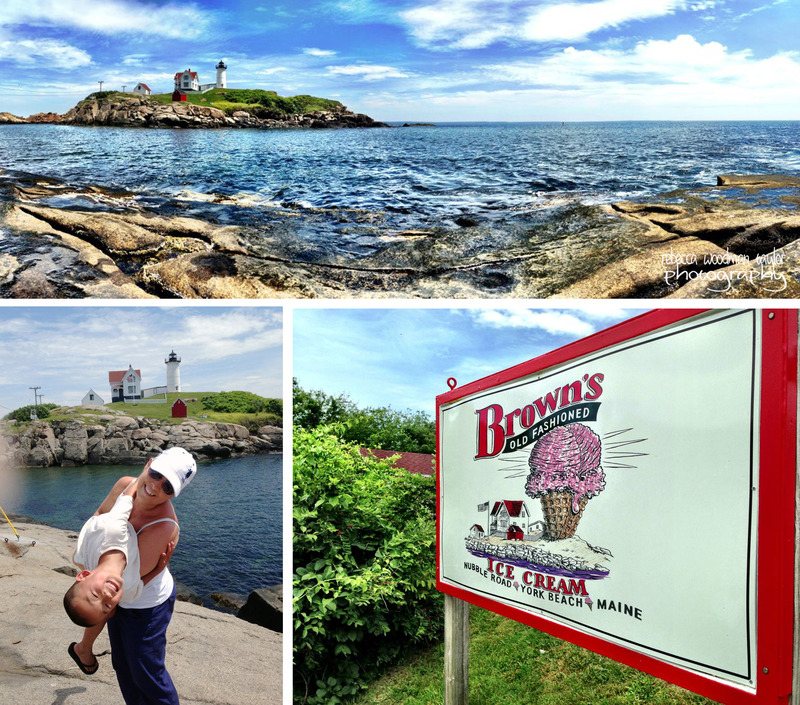 Three of my favorite things in one day: hanging with my nephew Henry, Ice Cream at Brown’s and visiting Nubble Light. A few months ago as I spent the day up on York Beach with my nephew Henry and his Mom Kristin. It was an excellent day doing all the things I loved as a kid and sharing them with my nephew. 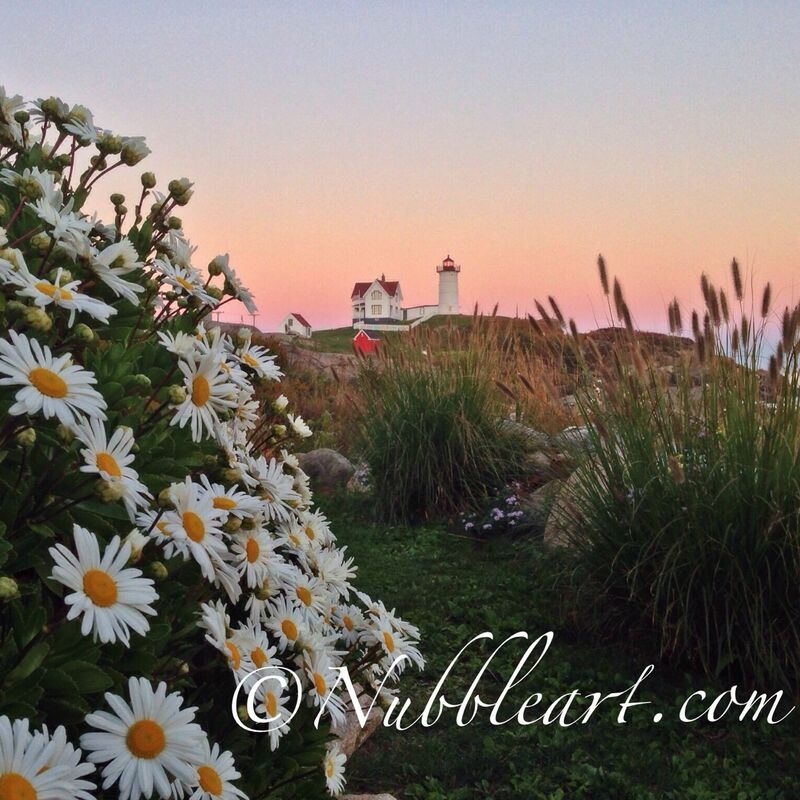 Of course we wrapped up our day by visiting Nubble Light. It was a beautiful, sunny day and I captured it on my iPhone and posted the picture on Instagram. Well one of the “likes” I got on my photo was by Nubblelightkeeper. I was intrigued so I went to his Instagram page and I hit the jackpot. 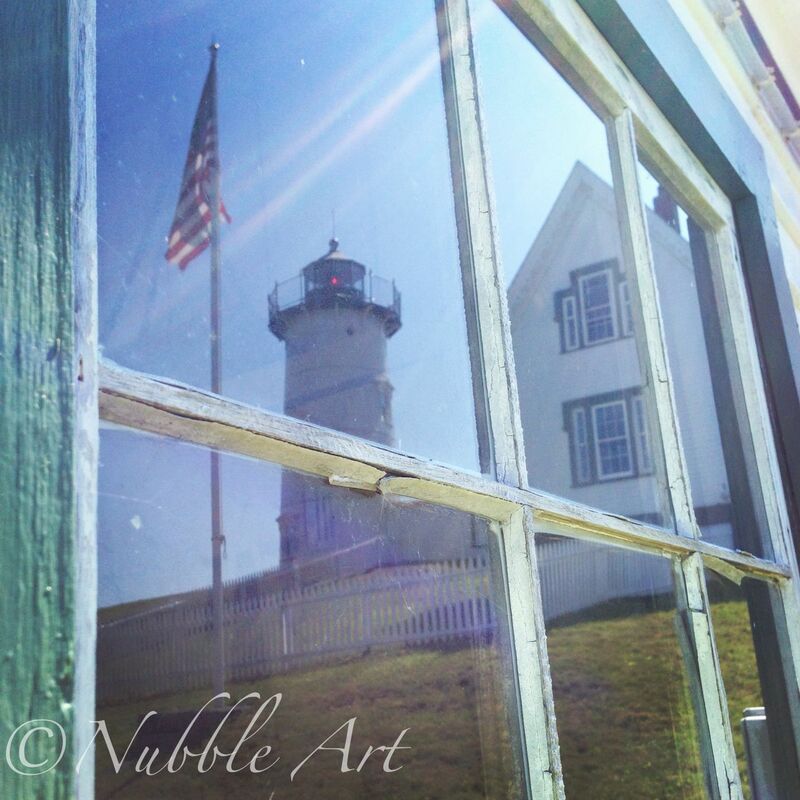 Matt (Nubblelightkeeper) is an amazing photographer and captures all things around the lighthouse beautifully. And he was the lighthouse keeper!!!! So I reached out to Matt to see if he would answer a few questions that I have had stuck in my head since I was a kid…and he said YES! Not only that, he is sharing some of his beautiful photography. 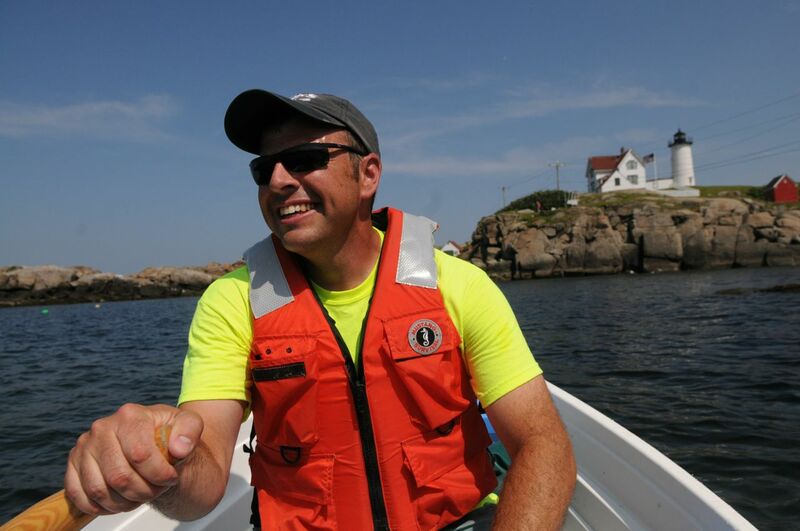 Meet Matt Rosenberg, English teacher at York High School and Lighthouse Keeper. 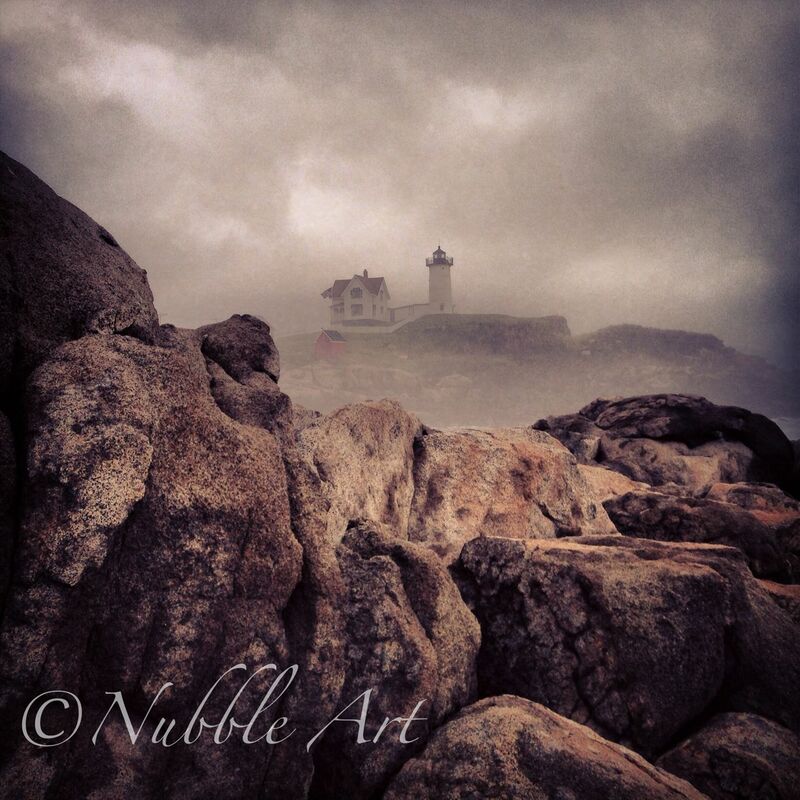 So how does one become the Nubble Light “keeper”? Is this your fulltime job? (If it’s not a fulltime job – what do you do?) I work at the lighthouse April through November. I also have been teaching English at York High School for the last 14 years. The job was advertised in the local paper and on the school email system, since they thought it would be an ideal schedule for a school teacher. I didn’t really think I had a shot at the job, but my wife encouraged me to apply. They had more than 65 applicants, but I was lucky enough to be offered the job. From left to right: Beach treasure is a window sill, the spiral staircase going up to the light, and the walkway from the house to the light tower. What type of background do you need to have as a lighthouse keeper? As far as I can tell, you have to be able to do a little bit of everything. I have worked in landscaping, plumbing, and a little bit of carpentry, but I worked as a whitewater raft guide for 10 years, and that can really come in handy on rough days. Probably one of the most important prerequisites is the ability to talk to people, since so many people want to know about the lighthouse. What are some of the tasks/chores/work you do on the island? I take care of the lawn as well as the building maintenance on the island. I don’t have to paint the house or lighthouse, but I do paint everything else. This year I had a lot of minor carpentry projects related to storm damage from the previous winter. I didn’t actually finish fixing all of the storm damage until the beginning of August. I also bring all of the workers and the Coast Guard to the island when needed. I usually construct a list of things that need to be done in the spring, but it never seems to get any shorter, regardless of how much I get done. There is always something in need of repair. I also take care of Sohier park, its gardens, and the visitor center in the park. At first I wasn’t that excited about taking care of the park, but it is my opportunity to talk to people, since when I’m on the island, I’m usually by myself. This is a view from the lighthouse from Sohier Park. What is the most difficult task that you have as a keeper? The hardest part about being keeper is the challenges posed by the weather. The number of days when the weather is good and the ocean is calm is surprisingly few. This summer we had a great stretch in August in September, but May and June were really rough. The week at the beginning of July when we had the utility workers at the island was particularly rough. I probably wouldn’t have gone to the island in those conditions regularly, but we were desperate to get the light back on, so we had to navigate it. Everything you would normally have no trouble doing is made more difficult by being on the island. A trip to the hardware store takes at least an hour, even though it is only five miles away. What is your most favorite task? I love mowing the lawn. It takes about six and a half hours to do the whole thing with a push mower and weed wacker, but it is meditative. I put on my headphones and listen to music while I push the mower. Today I finished the last mow of the year, and I know I’m really going to miss it. Who is your boss? I work directly for Ryan Coite the Parks Foreman at the York Parks and Recreation department. I work pretty independently, but we talk weekly, and he sends me help or supplies whenever I have a project to work on. What is the most surprising thing you have “discovered” on the island? We get a lot of harbor seal pups on the island. They are sometimes in distress, but they often haul out because they want to rest. We ended up getting them at the island and park so often that my kids and I started volunteering for Marine Mammals of Maine . There are also hidden gardens of wildflowers and even tomatoes in the cracks all over the island cliffs. Sometimes when I think I have seen everything there is to see over there I find something I never saw before. 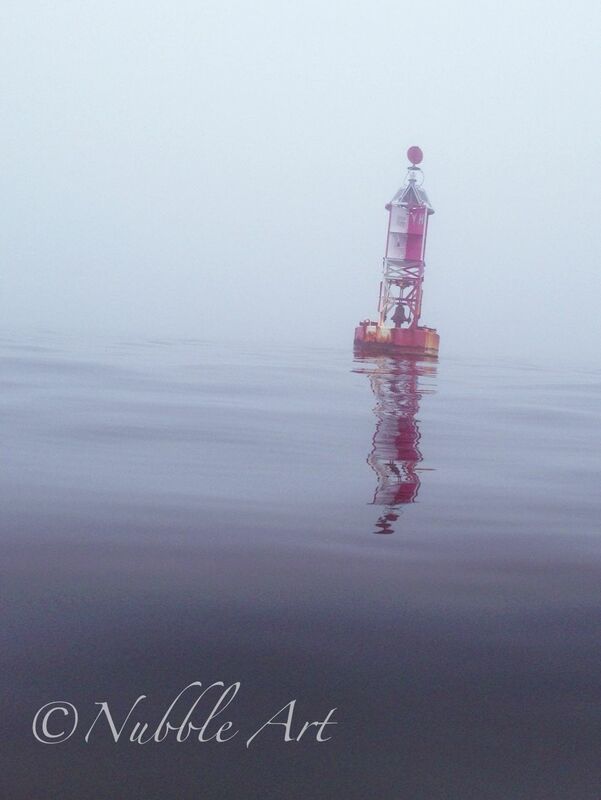 My Dad and I often went fishing around this buoy off of Nubble Light. This is the first place that I saw a whale in the water underneath our boat. Are you able to go in the house and light? Have any other keepers left things for others to discover? I go into the house and light regularly to make sure that everything is in order. There really isn’t much left inside though. I wish other keepers had left me something, but I’m not sure that they were terribly romantic about that kind of thing. One thing that a lot of people don’t notice even though it is in plain view is the whale rock in front of the boat house. It is a huge boulder shaped like a whale that keepers have kept painted with a mouth and eyes as a matter of tradition. I repainted it this past summer after Russell Ahlgren, the last Coast Guard keeper of the Nibble, pointed out that it hadn’t been done since he was there. Are you in touch with any of the other lighthouse keepers? I did get the opportunity to bring the Ahlgren family over to the island this summer. They were the last Coast Guard keepers to live on the island and left in 1988 and are the friendliest family you can imagine. They had a son who lived on the island as a toddler, but he was unable to make it. It was neat to bring them over and hear stories about their time on the island. They came on a rough day which got rougher as the afternoon went on, but they were less bothered by it than most people would be. I think that they had made the crossing in some really awful weather when they lived there. An interesting story they told me was that they installed a lock on the outside of their son’s bedroom door, because they were concerned that he would get out of his crib at night and fall off the island. 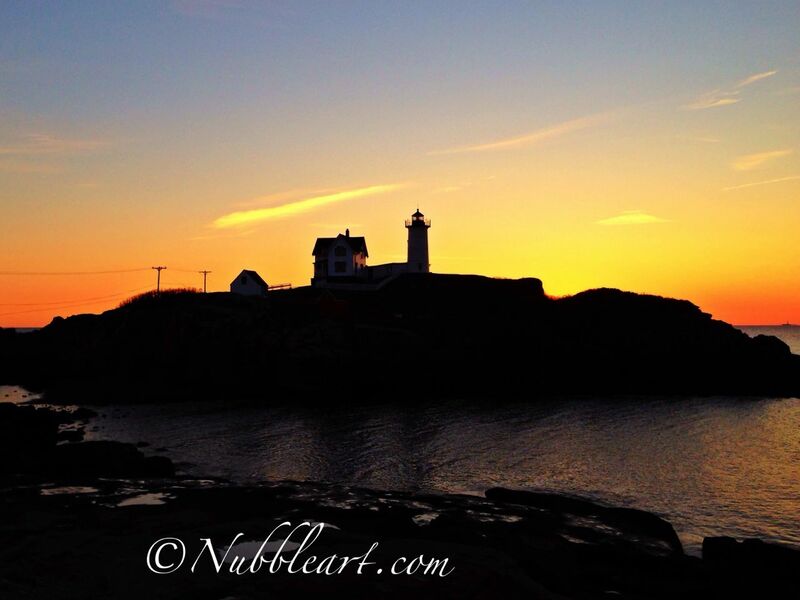 An image of Nubble Light at sunrise. How difficult is it to get over to the island? This year it took me three tries to get to the island for the first time to put the flag up at the end of April. The first day I dumped the rowboat in front of about 50 tourists. The second day I took a wave over the side which filled it to the top with water. Finally, I waited for low tide and walked across to put up the flag. 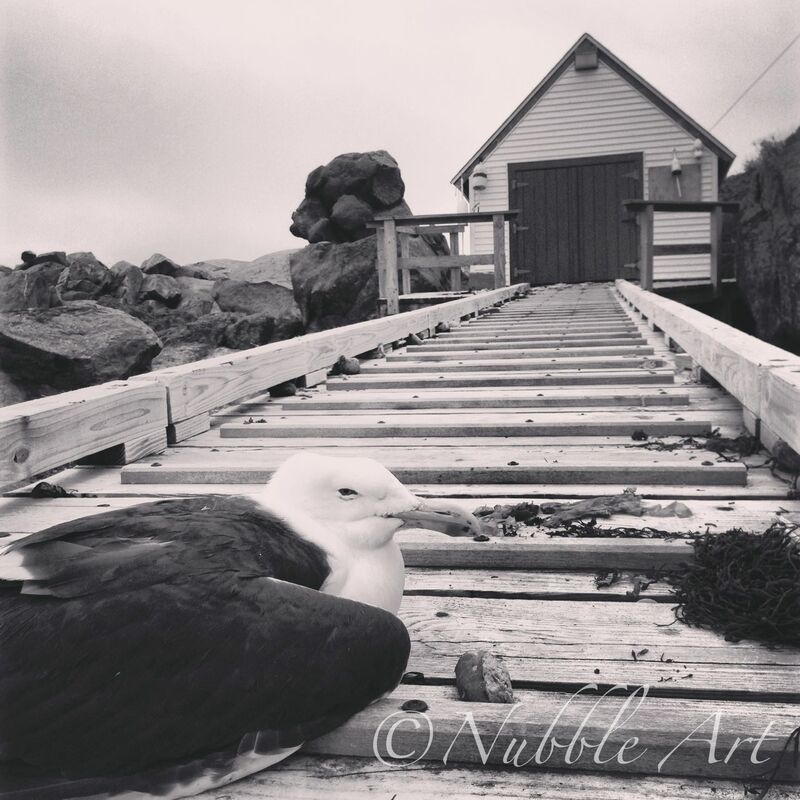 There are a lot of days when I have work to do at the island, but it is too rough to go. It can be a dangerous spot when the waves come from the northeast. I have had a few days when the wind changed direction without me noticing it. When that happens the waves can get really big in a hurry. I try to keep an eye on the flag when I’m out there, because it can give me a little early notice that the weather is changing . This is the ramp to the boathouse. The keeper crosses between the mainland and Nubble via row boat. When did you start taking pictures? What kind of camera(s) do you use? I started taking pictures last year because people were always asking me about what it looked like on the island. The parks department gave me my own album on our facebook page, and I got so much positive feedback that I took more. It has been a lot of fun sharing them on Facebook and Instagram, and my wife, Amy, started printing them and bringing them to local craft fairs, since so many people expressed an interest in buying a photo. She also started an Etsy store for the photos, for people who can’t make it to York when we are at the craft fairs. Above all Amy is my favorite audience and really the reason I love taking photos. I’m a little sheepish about telling my secret which is that I only use my iphone 5 for photos. It has a great camera, but it never seems to capture light and color accurately. Usually, I’ll see a potential photo while I’m working, take the photo, and get back to work. When I get home, I’ll edit the photo to try to make it look like how I remember it being at the time I took the photo. I’ve thought about getting a camera which takes a more accurate image, but I wouldn’t be able to carry it while I was working and I really enjoy the editing. It’s pretty amazing that Matt takes all of his photos with his iPhone 5. Follow Matt on Facebook and Instagram. 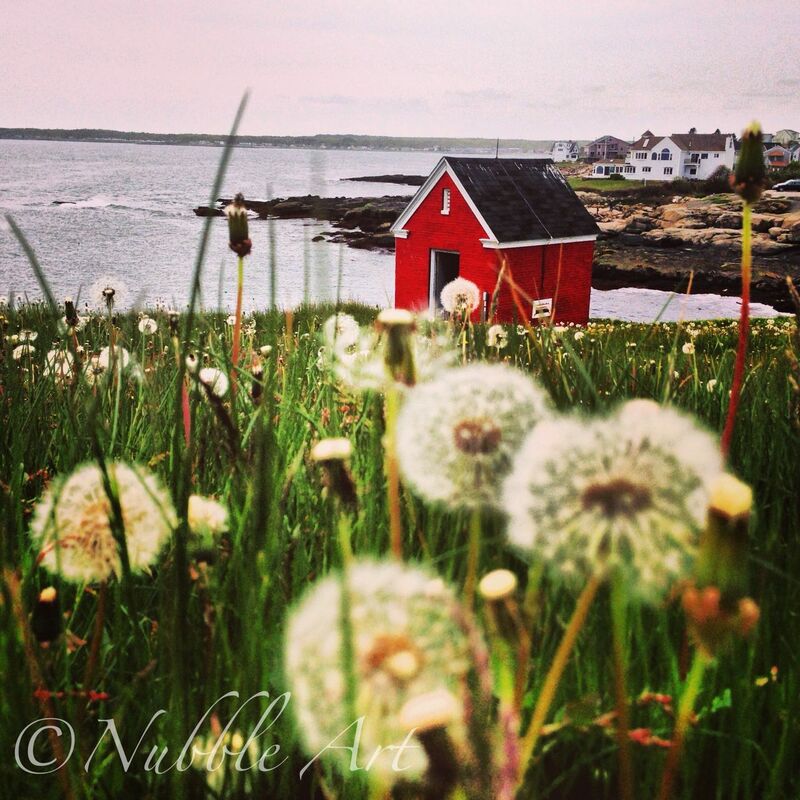 Thanks Matt for taking the time to share my favorite place with my readers! Thank you for this. My family also spent summer in York! I can remember being so excited for an outing to Goldenrod Kisses or dinner at Fox’s just so I could eat while looking at Nubble Light! Matt’s pictures are really beautiful and interesting. How awesome to see the view “back”!